Warm, cheesy and fresh from the oven — nothing gathers guests around the table faster than a delicious, hearty casserole, especially one with a kick of Southern flavor. Better yet, all of these one-pan dishes can be made ahead of time; simply warm them up in the oven just before serving for maximum toasty goodness. Check out some of our favorite casseroles below. In this delightfully simple dish, fragrant parsley and paprika pair perfectly with creamy rice, gooey Swiss cheese, and Vidalia onions caramelized in a heap of butter. This recipe is also easy to make your own by trying out different herbs — try thyme instead of parsley for a deeper flavor or a mix of oregano, cilantro and cumin for a Mexican-inspired direction. 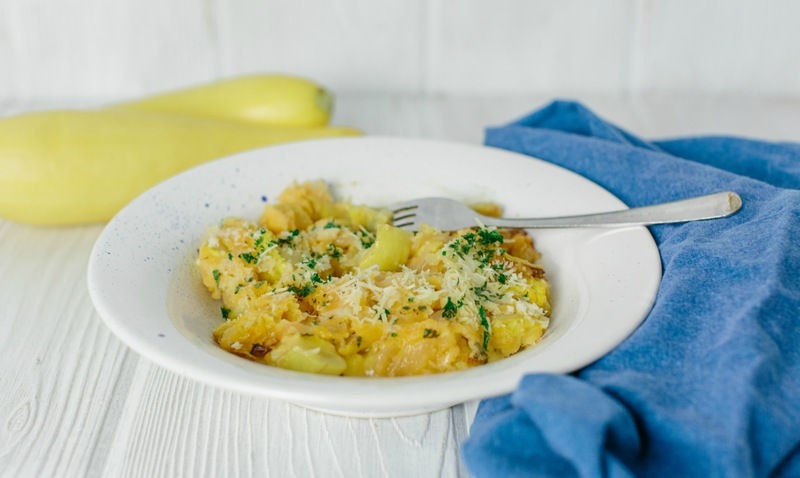 This recipe plays double duty as both a comforting, cheesy side, and an almost-wholesome vegetable dish. A meal in its own right, our squash casserole can also be paired with some collard greens or a store-bought rotisserie chicken. 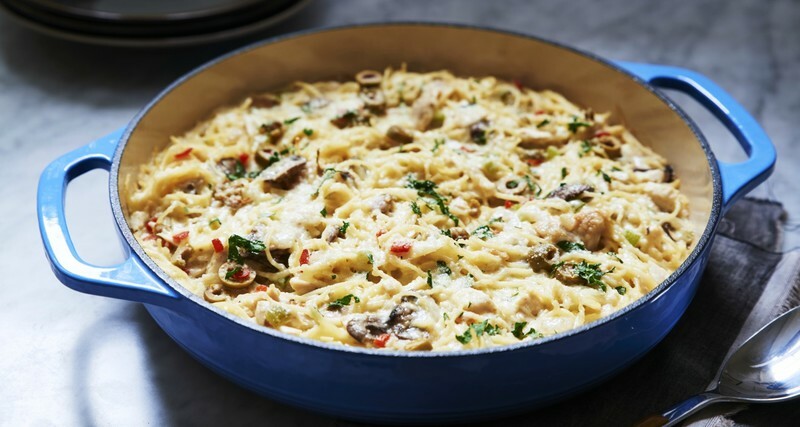 A true crowd pleaser, tetrazzini can be made with either chicken or turkey. You can cook up the chicken from scratch, but it's perfectly fine, especially on a weeknight, to use a store-bought rotisserie chicken. Making the sauce from scratch, however, is key to success with this dish, and you can alter the seasonings as you see fit. Add cayenne for some heat, a pinch of nutmeg for a touch of sweetness, or stir in a splash of white wine or sherry to brighten up the sauce. 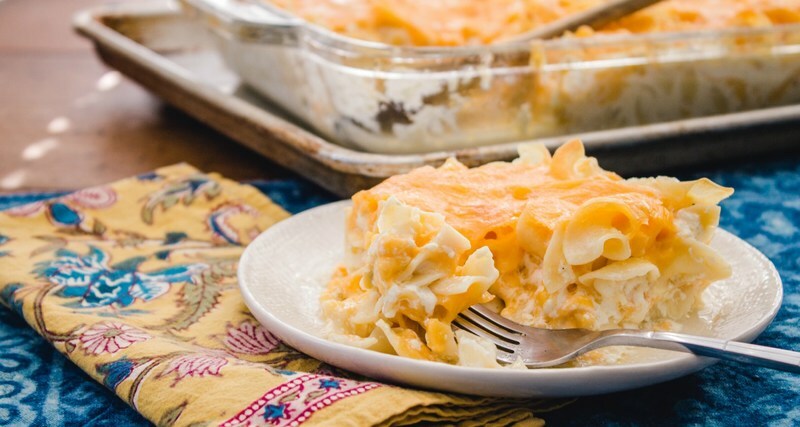 Any way you slice it, this macaroni and cheese casserole will satisfy any gooey cheesy cravings, thanks to a decadent mix of eggs, milk and several generous handfuls of grated cheddar cheese. If making this casserole the day before, simply cook the noodles and assemble the casserole (minus the milk mixture) ahead of time and refrigerate until needed. Add a little more Southern comfort to your table with this totally homemade green bean casserole — no cans here! Yes, it's worth it to take the time to use fresh veggies and to make the cream sauce from scratch. For an added layer of deep-fried goodness, sprinkle on some crisp onions just before serving. 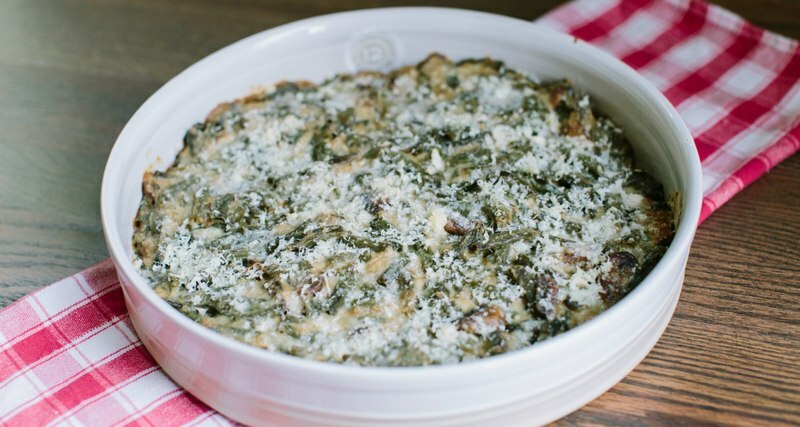 A healthy amount of green chiles gives this creamy side dish a satisfying layer of heat. 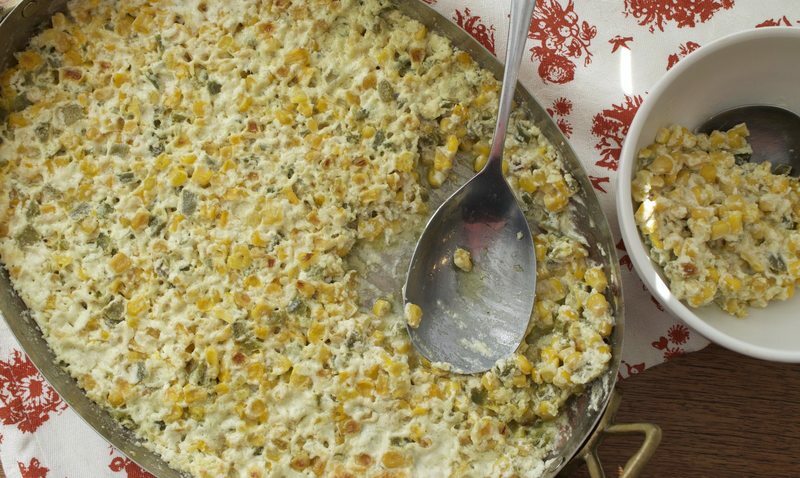 A baked play on creamed corn, this recipe works perfectly as both a warm party dip or a vegetarian addition to any dinner spread.